To begin with, let me state how much I hate photographing people watching an event on television. I loathe seeing this particular assignment. I think it’s because it reminds me that I am not covering the actual event being televised; instead, I am simply covering a removed version of the event. That being said, the televised men’s hockey gold medal final in Canada is different. 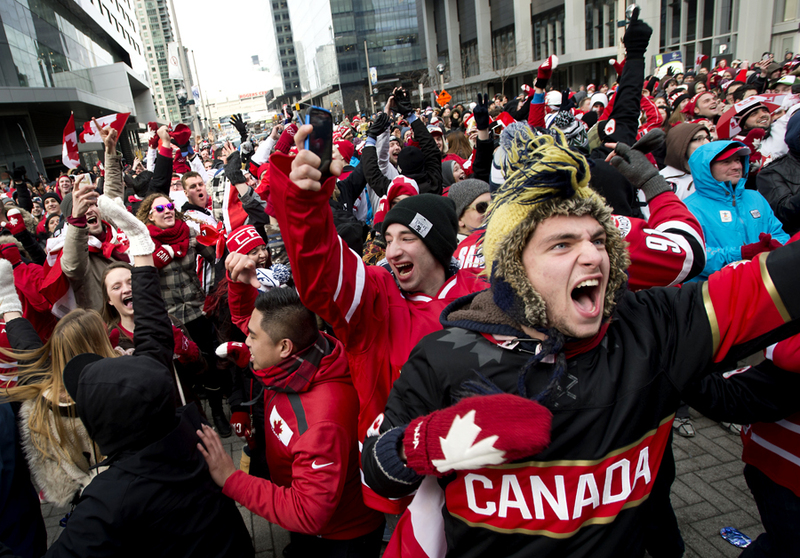 Fans celebrate at Maple Leaf Square in Toronto after the third goal by Chris Kunitz in the men’s hockey gold medal Olympic final between Canada and Sweden in Sochi, Russia Sunday morning, February 23, 2014. Canada won the gold medal by defeating Sweden 3-0. 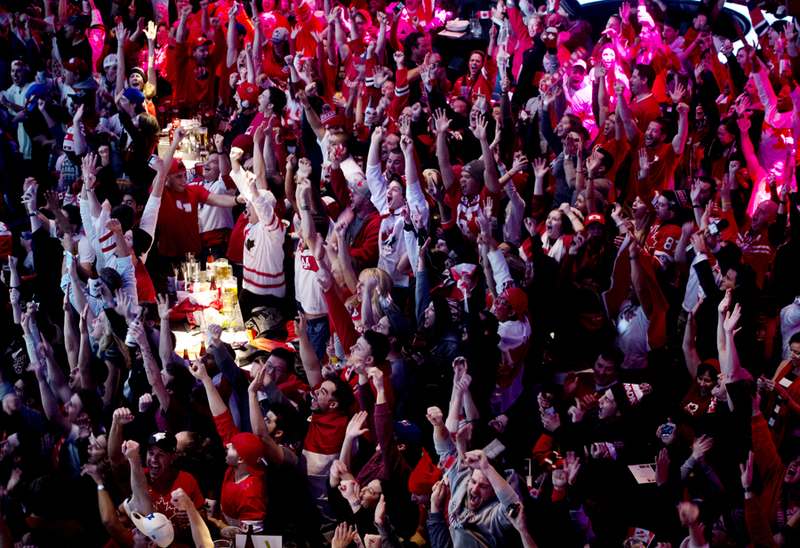 Fans celebrate at a bar in Toronto after the second Canadian goal by Sidney Crosby in the men’s hockey gold medal Olympic final against Sweden in Sochi, Russia Sunday morning, February 23, 2014. Canada won the gold medal by defeating Sweden 3-0. 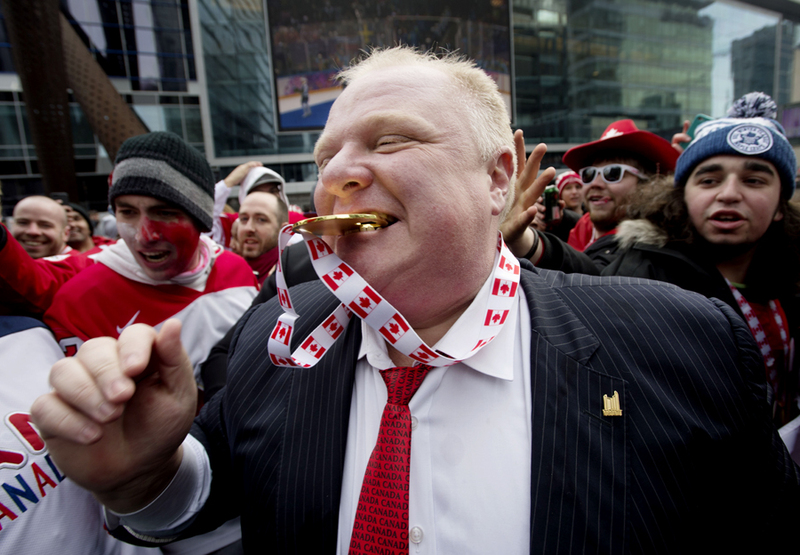 Toronto Mayor Ford bites a fake gold medal while celebrating at Maple Leaf Square in Toronto after the Canadian men’s hockey team won the gold medal Olympic final 3-0 against Sweden in Sochi, Russia Sunday morning, February 23, 2014.